In partnership with Williamsburg area chefs and restaurants, Thomas Nelson offers a unique opportunity to students interested in stepping into the restaurant, commercial, and non-commercial food service industries. ChefsGO 1.0 is a culinary kickstart certificate program. The program provides 11 weeks of classroom and kitchen training (144 hours) taught by renowned, professionally-trained local chefs and industry professionals in partnership with Thomas Nelson. Labs and lectures are interactive and intensive, equipping students with foundational culinary techniques and knowledge. Then students participate in a 15-week paid mentorship in a restaurant following the classroom portion. 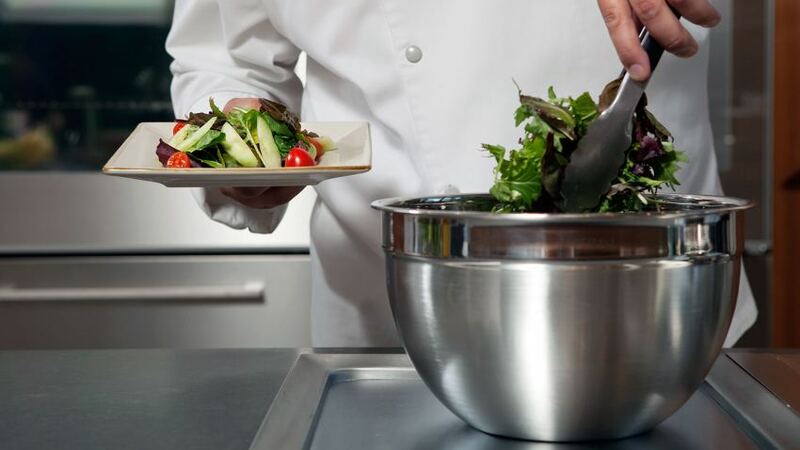 This introductory culinary program will provide you with the skills needed to obtain gainful employment in a world-class restaurant and set you on a pathway to a career in Culinary Arts. Classes are interactive and intensive, equipping students with foundational culinary techniques and knowledge. Students will be introduced to everything from knife skills to preparing sauces and soups, proper kitchen sanitation to food storage and much more. Open to any Peninsula resident (must be 18 years of age by May 13, 2020 to participate). Must be able to work in Williamsburg. Cooking skills and restaurant experience are not required. Mentorships are a full time obligation (up to 40 hours per week) at a Williamsburg area restaurant and require a flexible working schedule including days, nights, weekend, and holidays. Complete the below application and email to pattersona@tncc.edu. We will confirm receipt of your application and reach out to you when the Info Session schedule becomes available to schedule. You will need to attend a mandatory info session in October or November. You will need to attend an interview with the Program Coordinator and a panel of Chefs and late November/early December. Need based partial scholarships are available for residents and/or high school students of Williamsburg, James, City, and York counties. For more information please contact Phoebe Williams at williamspho@tncc.edu or (757) 345-2823 or Allison Patterson at pattersona@tncc.edu. "ChefsGO 1.0 is a career opportunity for interested applicants 18 years old or older to explore the basic foundation of Culinary Arts. Thought and designed by highly skilled local professionals, the program will touch on all basic academic and culinary skill sets preparing the individuals for possible entry positions in the Hospitality arena."